Please join us at the 2018 Tailgate & Pride Day at the Pirates! 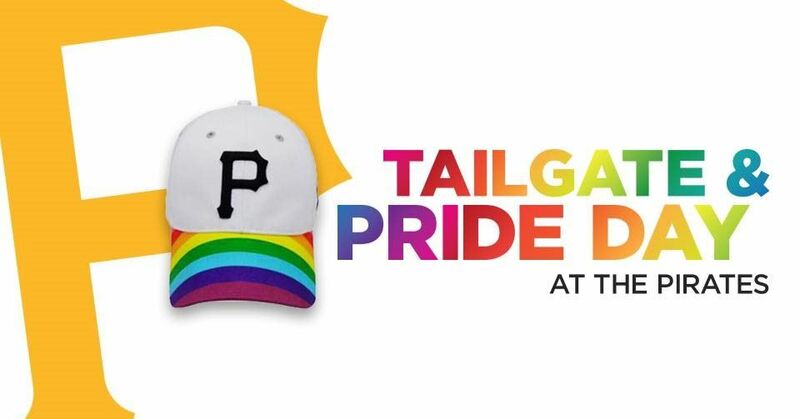 The 2018 Tailgate & Pride Day at the Pirates is right around the corner as the Pirates take on the Phillies on Sunday, July 8 at 1:35 PM. Tickets are $33 or $22 at www.pirates.com/prideday. Be sure to use coupon code PRIDE as each ticket purchase will receive a coupon redeemable for a collectible Pirates Pride hat. Nearly 1,000 tickets have been sold so do not wait to purchase your tickets if you want a hat! For more info, including accessible seating options, visit here. The Central Outreach tailgate will take place on the Great Lawn on North Shore Drive from 10 AM to 1 PM. From Bettis Grille, take the stairs down to the river walk and turn left. Use 393 N Shore Dr, Pittsburgh, PA 15212 for mapping purposes. Parking is available in the lots near the stadium or take the T from downtown Pittsburgh. This year, a suggested donation of $5 in advance/ $10 the day of (children under 12 free) is being asked to benefit the Central Outreach LGBT homeless house project. Also, you are asked to bring a non-perishable food item or toiletry item for the house. All tailgate attendees must have a ticket to the game to attend the tailgate. Tickets for the tailgate can be purchased at at PittsburghPride.org/tailgate. Pride Day at the Pirates is made possible by the Delta Foundation of Pittsburgh, Central Outreach Wellness Center, Persad Center, Steel City Bowling League, Steel City Softball League, Stonewall Sports - Pittsburgh, and TransYouNiting.